A moving story of not belonging and friendship, this beautifully illustrated and simply told tale of an alien lost on Earth provides much to talk about. Beegu is an unusual creature from another planet separated from her family, desperate to make friends. Whilst children are accepting of this outsider, adults reject her and chase her away. Read aloud Before reading the story, encourage children to look at the cover and to talk about the character and the title. 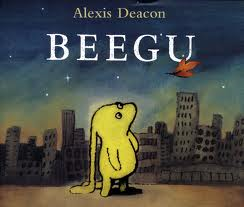 Then read through the story, pausing to talk about the pictures, what Beegu is searching for and how she is feeling. What would they like to happen in the end? Join in As you read and reread the book, encourage children to join in where they can. Their confidence and enjoyment will build as you revisit the book together and children become more familiar with the story and story language. Talk about the story Talk together about which part of the story children like best and why. Why do they think Beegu wanted a friend? What do they notice about the way different characters behave towards her? Why do they think some are unfriendly? Have they ever felt like Beegu? Tell the story Using the pictures in the book, children can retell the story in their own words. Using plasticine or playdough, children can create their own Beegu for their bedroom. They can play with her and act out the story or make up new adventures. Use a paper plate and tissue paper to design and make an alien mask to wear, to act out the story of Beegu or make up their own alien story. Using lolly sticks, card, coloured pencils or crayons, children can draw a variety of aliens and glue them to make simple stick puppets. They can make 3 or 4 and use them to act out and make up stories. Children can make up a new story. Where does Beegu go to when this story ends? What does she do? You can help them write down what happened to Beegu and they can draw more pictures if they’d like to. When it’s finished, you can read it aloud together. 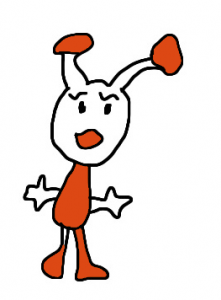 You can help children to make a collection of aliens, drawing pictures to make a poster or chart, showing what they look like, their names, what planet they are from, their language and what their special powers are. Sesame Street alien fun here.